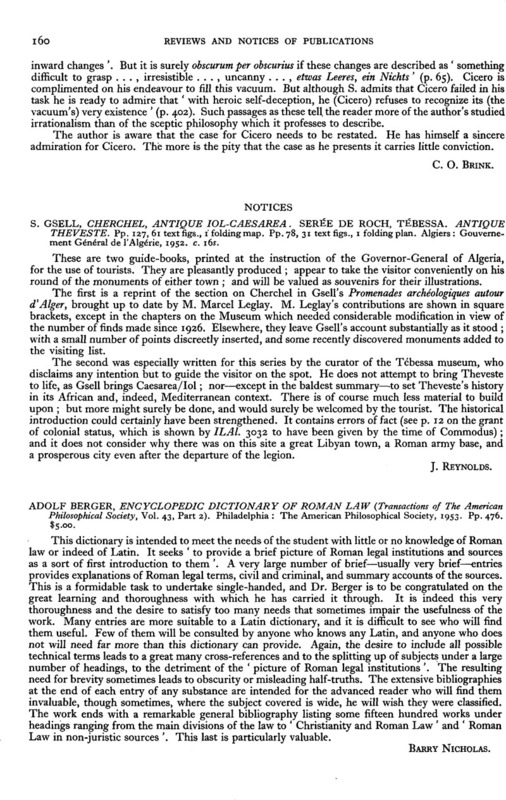 Adolf Berger, Encyclopedic Dictionary of Roman Law (Transactions of The American Philosophical Society, Vol. 43, Part 2). Philadelphia: The American Philosophical Society, 1953. Pp.476. $5.00.